This Montegrappa ink is normally sold as a set with the Montegrappa Special Reserve fountain pen. This is one lubricated ink. I found it bleeds through and feathers on quite a number of different brands of papers. 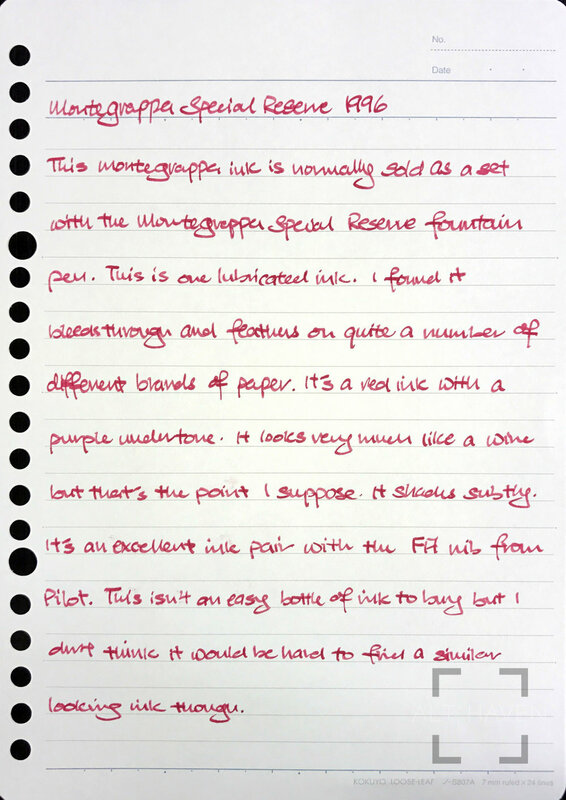 It’s a red ink with a purple undertone. It looks very much like a wine but that’s the point I suppose. It shades subtly. It’s an excellent ink pair with the FA nib from Pilot. 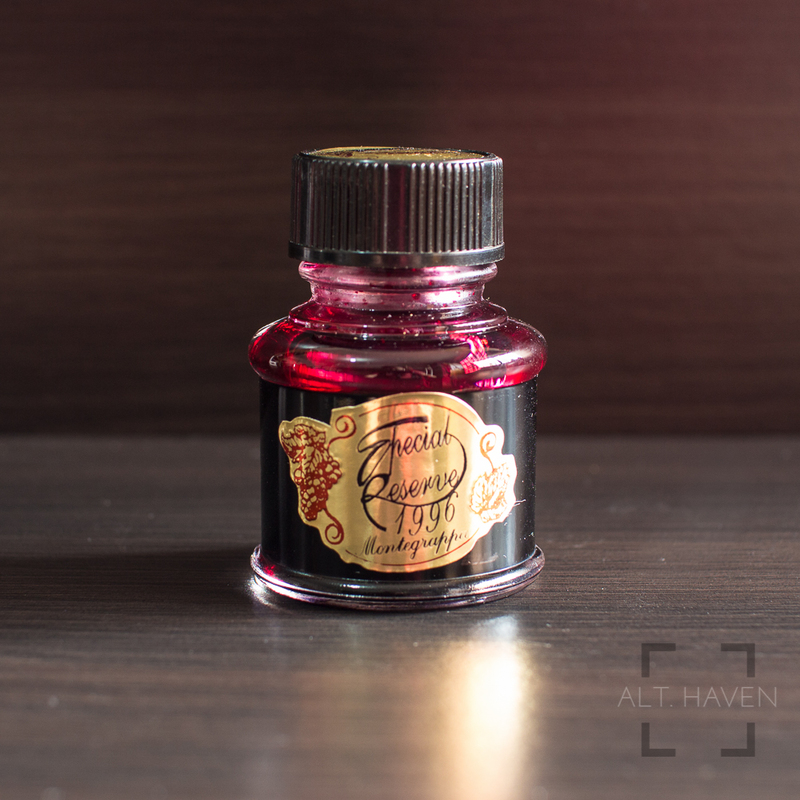 This isn’t an easy bottle of ink to buy but I don’t think it would be hard to find a similar looking ink though.